On July 24, CPS and the Board of Education members approved boundaries for our new neighborhood school – the Clifton Area Neighborhood School (CANS). Great care was given to make sure that each community served will benefit despite changes made in previous connections to other public school facilities. The neighborhoods of Clifton, CUF (Clifton Heights, University Heights and Fairview) and Spring Grove Village are included in their entirety within the new school’s boundaries, insuring a richly diverse student body. If you live within the boundaries of these three neighborhoods and have a child aged 3, 4 or 5 years old by September 30, 2017, you can enroll them in CANS by completing the applications found at these web addresses. Pre-Kindergarten and Kindergarten students will be welcomed to our first classrooms prepared for CANS in the Rising Stars Academy on Vine Street at 2120 Vine Street. This temporary home allows us to start building a student body one grade level per year, following the successful method of Hyde Park School. 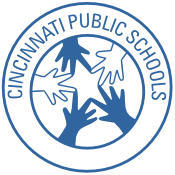 The growth surge of Cincinnati Public Schools population requires quick response, as 1000 new students enter the system annually, the equivalent of 2 fully populated schools. CANS students will migrate to the former Clifton School building when all renovations have been completed, anticipated in 2019. In order to best serve these children and their families, CPS acquired the land and house adjacent to the school’s permanent home. CPS Facilities Department have been cleaning up the Farmhouse property in preparation for development of a playscape and improved egress to the expanded school campus which includes other education and recreation facilities in the heart of Clifton. CANS Advisory Group is learning about Community Learning Centers and researching ways that the Farmhouse might become a nucleus of rich educational and social exchange for residents of all ages. To improve connectivity of this formerly private and very attractive destination to a wider public, lawns are being maintained and over a dozen dead trees have been removed. The Metropolitan Sewer District is helping CPS Facilities assess storm water run off, especially at the deep swale between the school building and the Farmhouse, beginning at the sidewalk and reaching to the back of the school building. Fill-in of this swale could make the property more amenable to development of a playscape. Remediation of problematic storm water runoff - from Clifton Avenue’s road surface that currently floods the pedestrian pathway - is under study. A request for curbs and drains along the frontage has been made to the city, and careful site preparation will precede any conceptual drawing phase. When the CPS Facilities Design Team is able to create conceptual drawings, the community at large will be invited to provide feedback. To introduce residents of the CANS neighborhoods with the Farmhouse, CANS and CPS will host Ice Cream Social at Rawson Farmhouse on September 9, 3-5 pm. The community will have a chance to get acquainted and to visit the Farmhouse. Professor Virginia Russell and her Masters of Landscape Architecture students from DAAP UC will join the event to gather audience input for playscape ideas, honing their community engagement techniques. Community input is currently and continually welcomed at our website: https://www.canselementary.org/brainstorm/ Ideas you provide for the development of the Rawson Farmhouse property shared by texts, sketches and photos will be handed off to the CPS Facilities Design Team. The CANS Advisory Group meets weekly to work on general and specific tasks, ranging from communications with CPS and our community of enrolled families and our communities at large, to researching interesting programs and quality curriculum components. We benefit from input by experienced guests who attend our meetings, invited professionals who work within our City’s systems as well as managers of programs in other cities. One example is learning about the International Baccalaureate program established 5 years ago within a public elementary school partnering with the University of Michigan. With our own proximity to UC, there are many appealing connections being pursued by our Partnerships subcommittee.